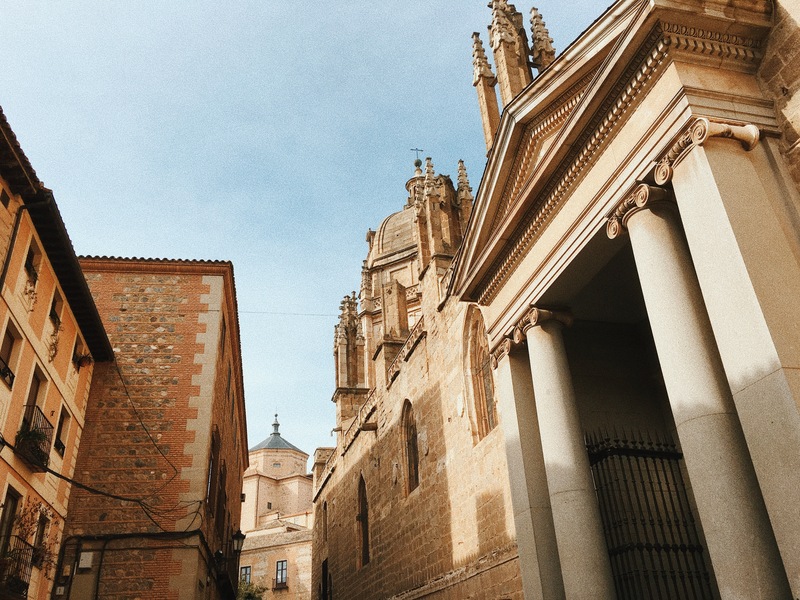 If you need an easy and budget-friendly getaway from Madrid, this travel guide to a one-day trip to Toledo will come in handy. The most memorable experiences in life happen spontaneously. 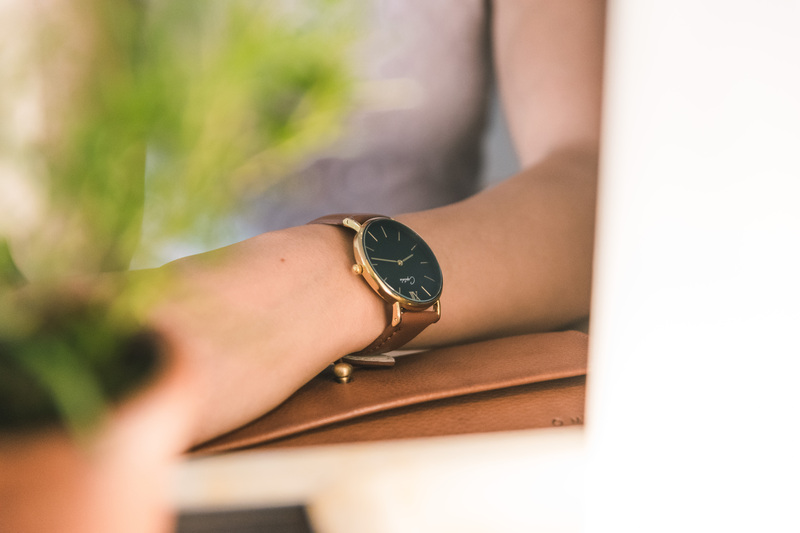 When I think about the best times of my life, they were almost never expected – a sudden call from a friend, a coincidental meeting, or a wild urge to travel and be somewhere else. 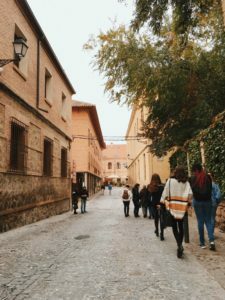 Once upon a time, during my Erasmus period in Madrid, I felt this exquisite desire to explore and simply breathe the air of a new place. I let it conquer me. And that’s how I went on a day tour in Toledo – one of the most spectacular ancient cities of Spain. 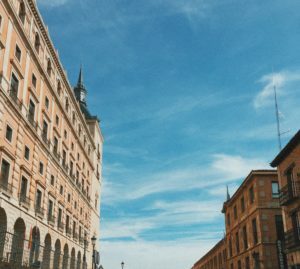 And so, it was a sunny Saturday morning when my flatmates and I drank our coffee in a rush, and headed to the bus station at Plaza Elíptica where we caught the bus from Madrid to Toledo. Apparently, the one-day trip to Toledo is an extremely desired destination because the first bus got filled in very quickly. We waited about half an hour for the next one to come and take us on its board. 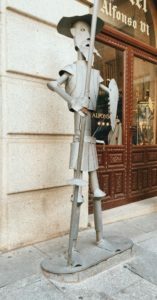 We left Madrid with no plans and no clear intentions for the day. All we wanted to do was to enjoy the time spent together in a magnificent place. 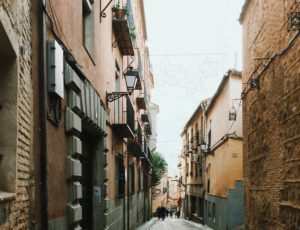 Toledo turned out to be not only an interesting destination but also a good fit for our tight Erasmus budgets. We got a map at the station (you can get one for free) but still all we wanted to do was to wander. 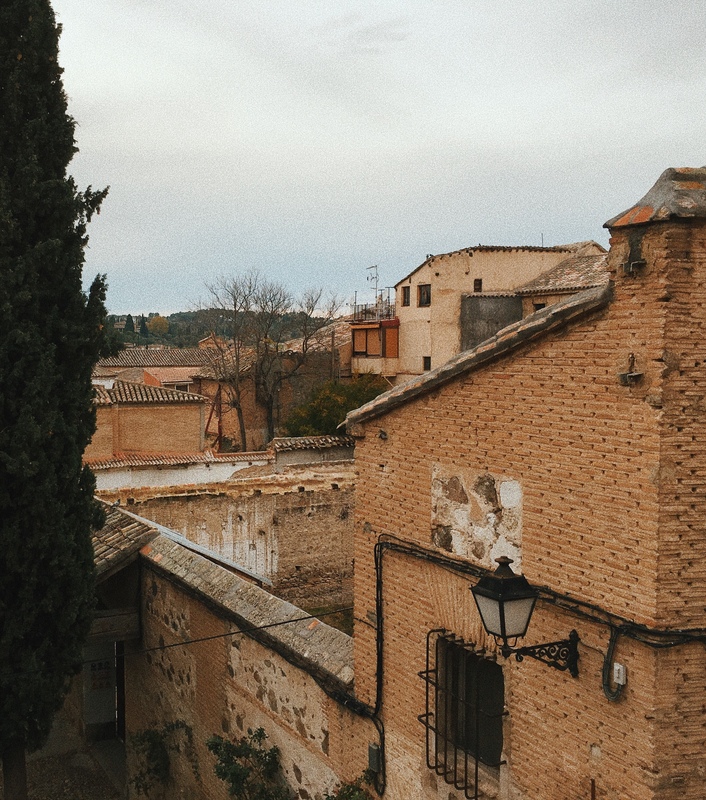 And so we wandered calmly around the walled city located on a rocky hill, almost fully embraced by the hug of the Tajo River. 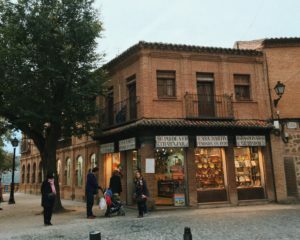 In fact, Toledo felt as if we had taken the bus to the past times and had been sent back to the history. 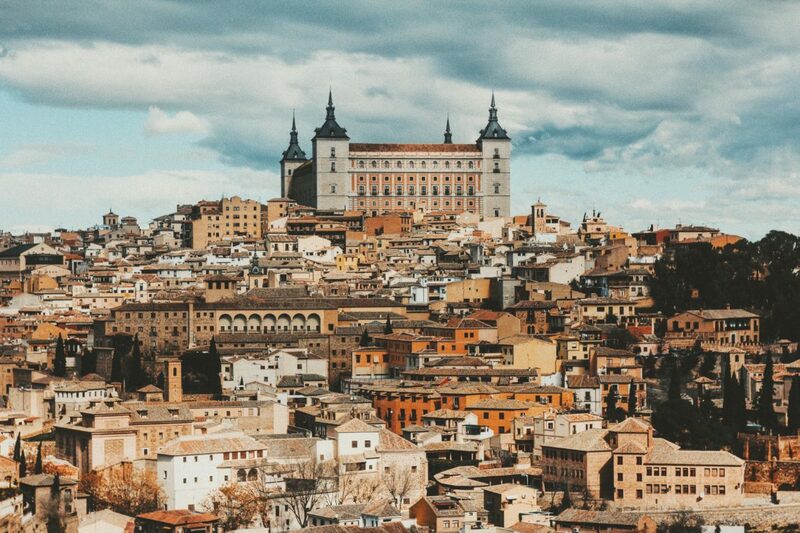 One of the oldest towns in Europe, Toledo is located only 70 kilometers away from Madrid. This makes it the ideal choice for an easy and budget-friendly one-day getaway from the busy city life. 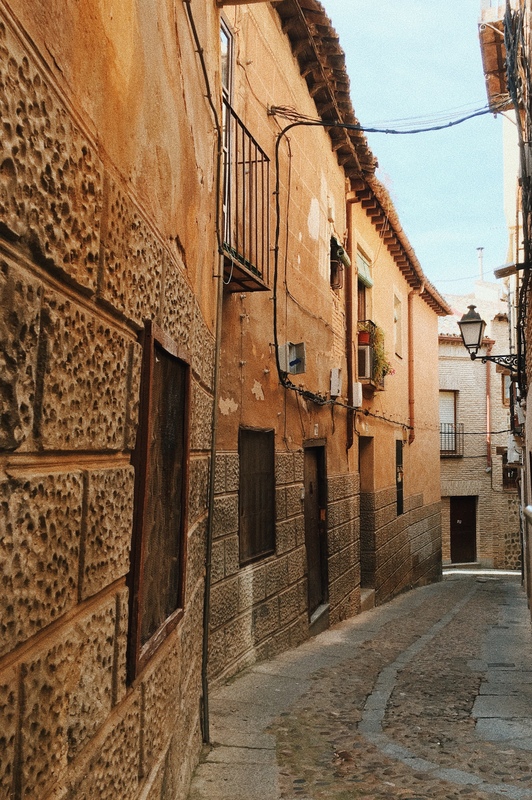 Exploring the narrow meandering streets of Toledo is a real adventure. 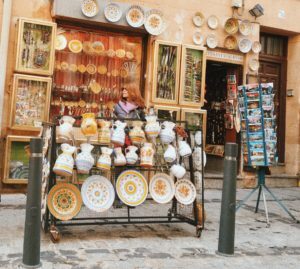 You’ll arrive at the Arabesque-style railway station and then you’ll climb to the historic part of the city, which is unique with its cultural tapestry. However, if uphill cardio isn’t your thing, you can also take the bus or a taxi to enter the city. And the city, oh! 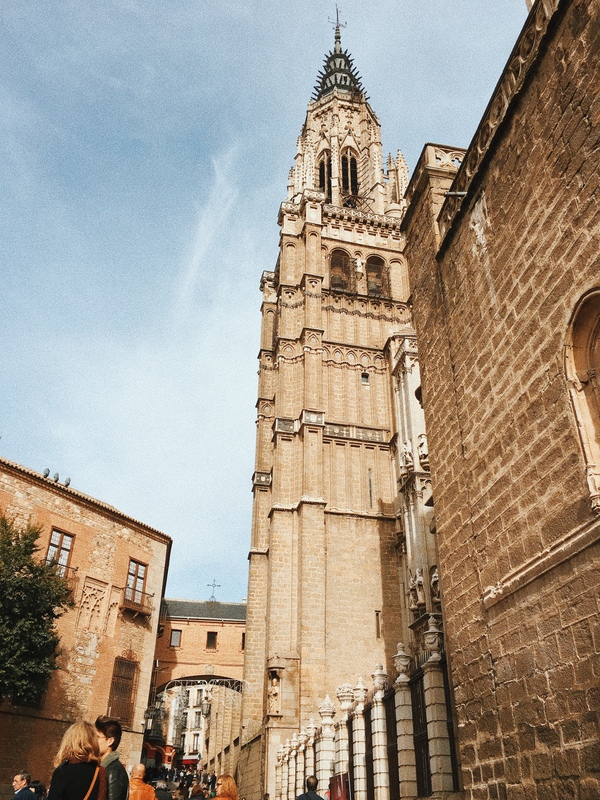 Throughout the long history of Toledo, Toledo has been a center of diverse cultures and religions. You’ll notice the influence of each in the remaining mosques, synagogues, and cathedrals. 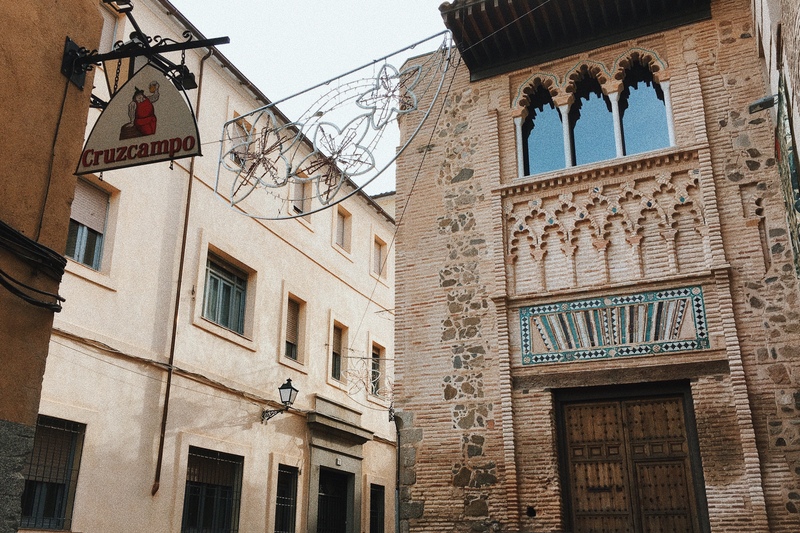 Toledo makes for the perfect one-day trip from Madrid because it is so easily reachable! 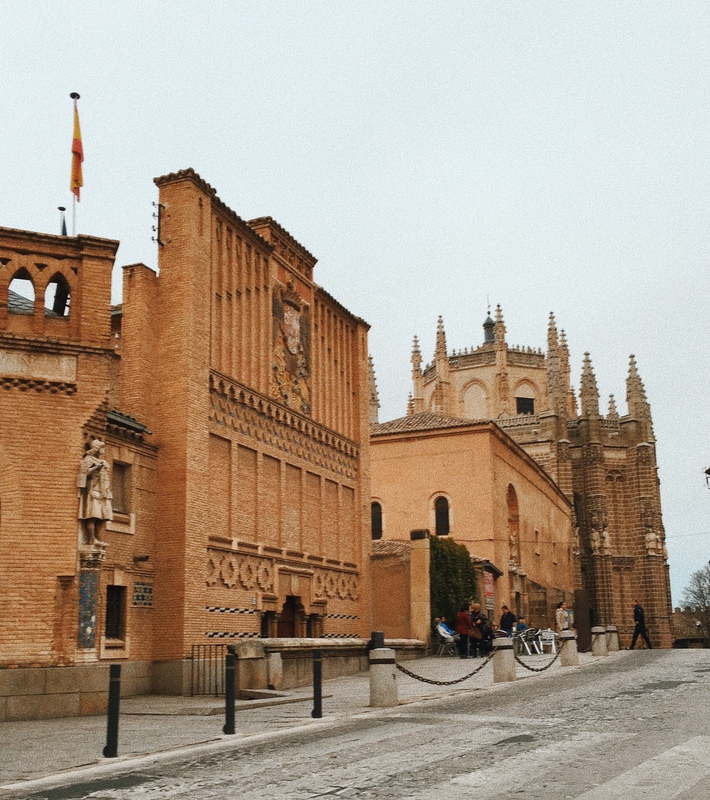 To get from Madrid to Toledo by train, it takes about 30 minutes and a round-trip ticket costs €20. You can purchase your tickets online on the renfe and goeuro websites or at the station, Estación de Madrid Atocha. 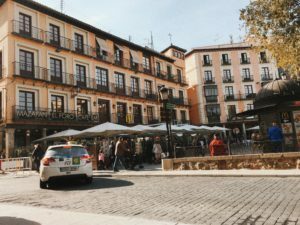 To get from Madrid to Toledo by bus, you need to settle for the cheaper one-hour bus ride from Plaza Elíptica, which costs about €10 in both directions. You can also rent a car but I wouldn’t recommend this option since the car access is strictly regulated. There are limited parking spaces located outside the city which tend to fill up quickly. If you choose to go by car, you’d better arrive early to claim your parking spot. You can check the parking availability here. 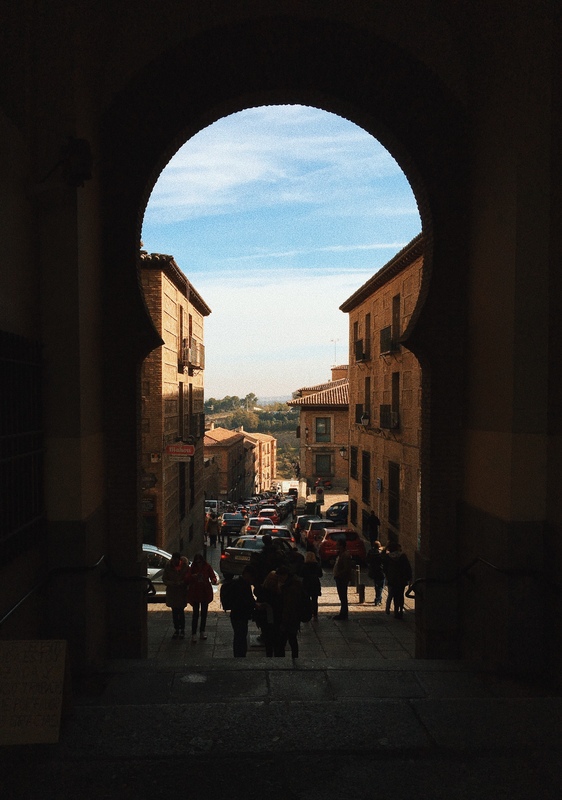 What I loved about Toledo was the diversity of cultures that had shaped the cityscape. I am not a big history lover. Honestly, I didn’t know anything about the town of Toledo until I got there. 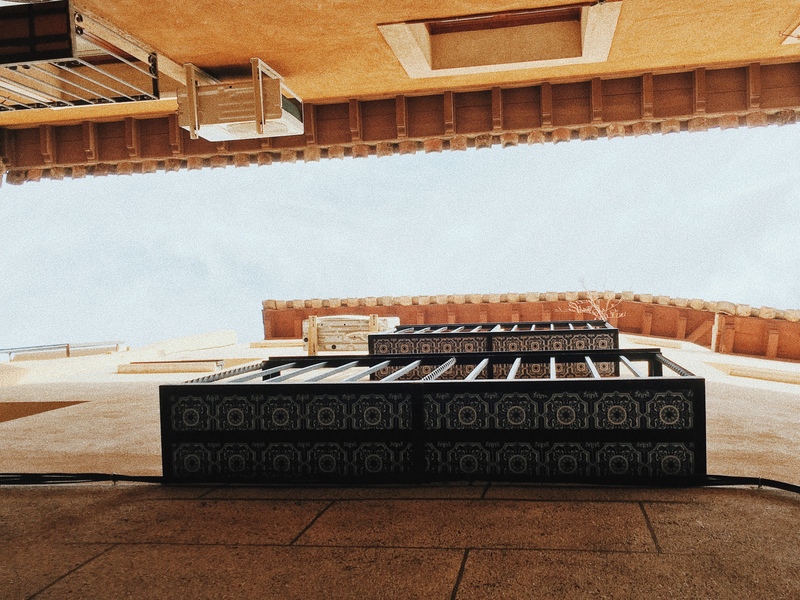 Even if historic facts are not your thing, there’s still a lot to admire. 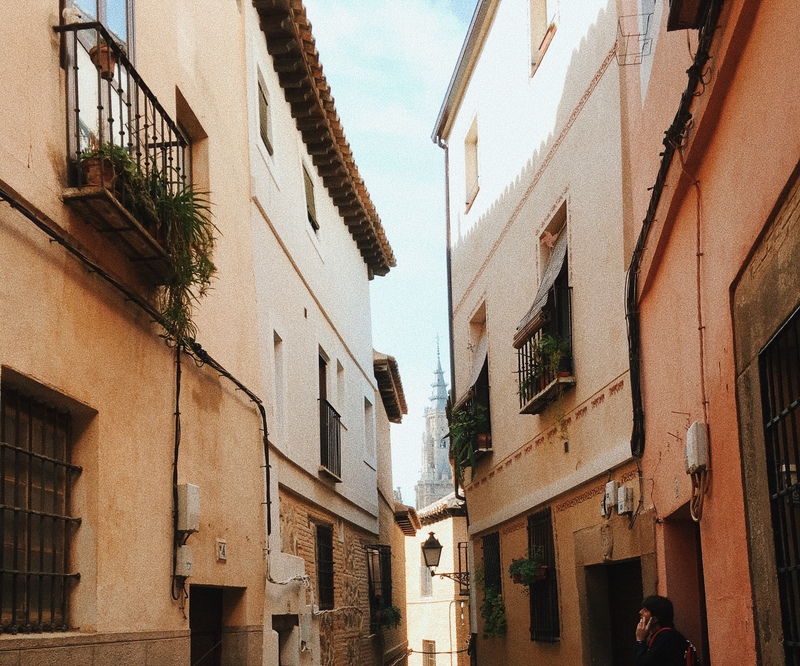 How can you NOT fall in love with the narrow cobble-stoned streets and the old yellowish buildings with little terraces filled with blooming flowers? 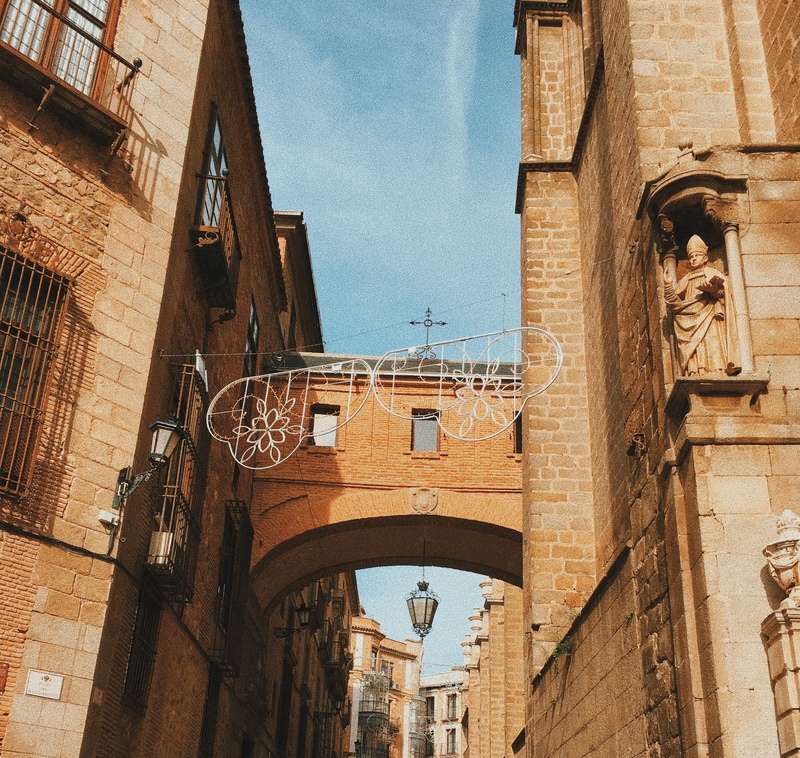 Your to-do list includes: cross the Puente de San Martín (a medieval bridge build over the Tajo river), revel in the stunning views of the city from the Mirador del Valle, get lost in the tiny winding streets, check out paintings by the famous artist El Greco, have lunch in an ethnic restaurant, and taste handcrafted marzipan in one of the many traditional shops. 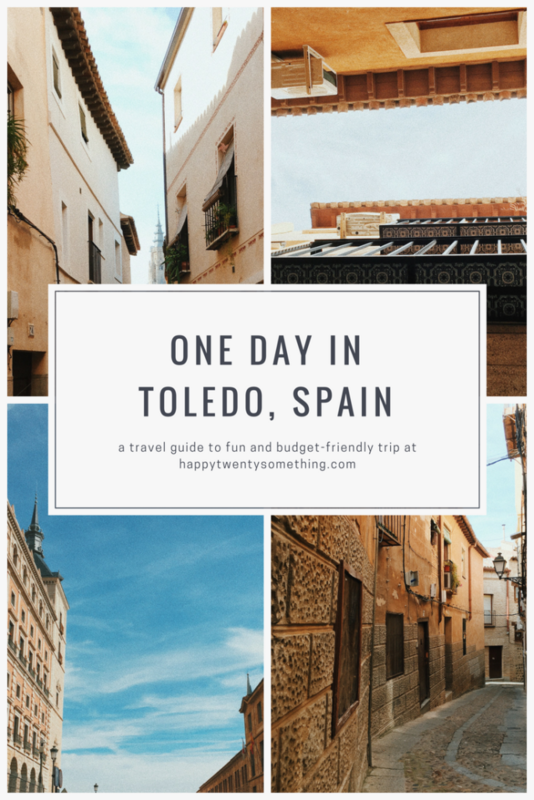 If you check these activities off your bucket list, you will have done all you can do on a one-day trip to Toledo. Don’t forget to buy yourself a souvenir magnet! 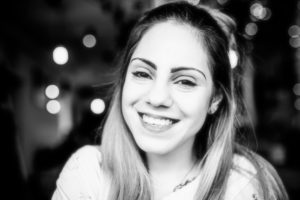 Here’s a list of all places worth a visit. 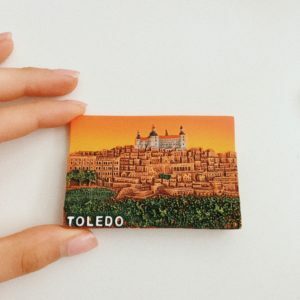 Have you been to Toledo? Share your best advice for the next travelers. And if you haven’t, do you think it is worth visiting? 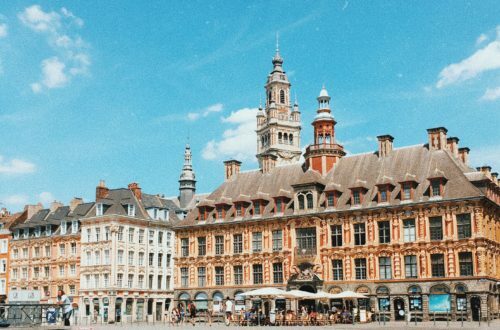 If you’ve liked my travel guide, give it some love on social media. It’s truly appreciated. 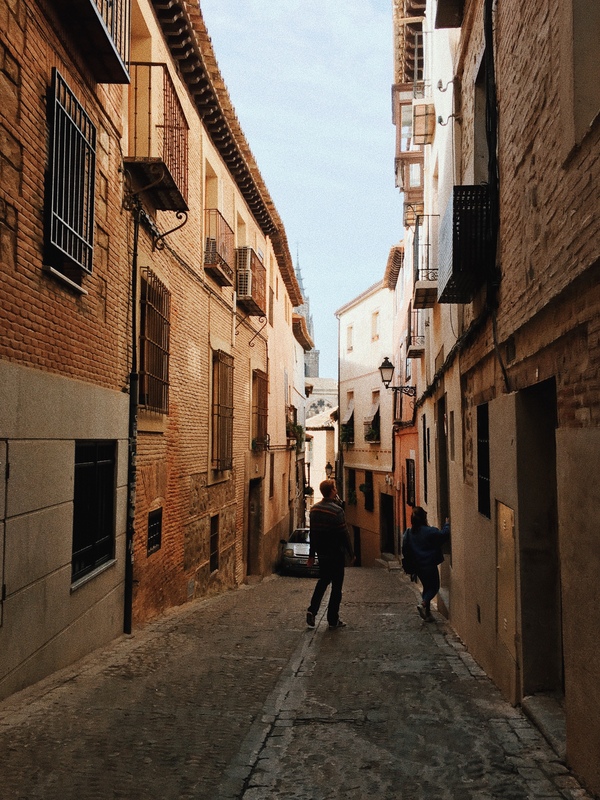 Toledo sounds like a great place to visit! Right?! It definitely is worth the visit.